Paranormal magazine delves into the dark world of ghosts, UFOs, strange creatures, weird phenomena, folklore and magic. Millions of people have experienced the uncanny, the mysterious, the mystical in their lives. But you do not need to believe in the paranormal to enjoy Paranormal. If you have an open mind and are curious about the world around you, this is the magazine for you. 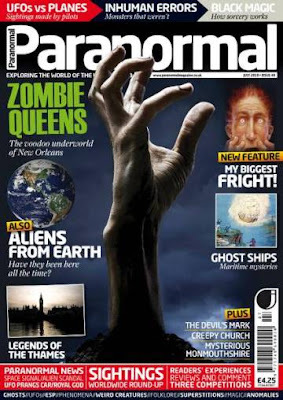 Engaging, intriguing, fascinating, sometimes startling and sometimes scary – Paranormal magazine never fails to entertain with its down to earth approach to some way-out subjects.